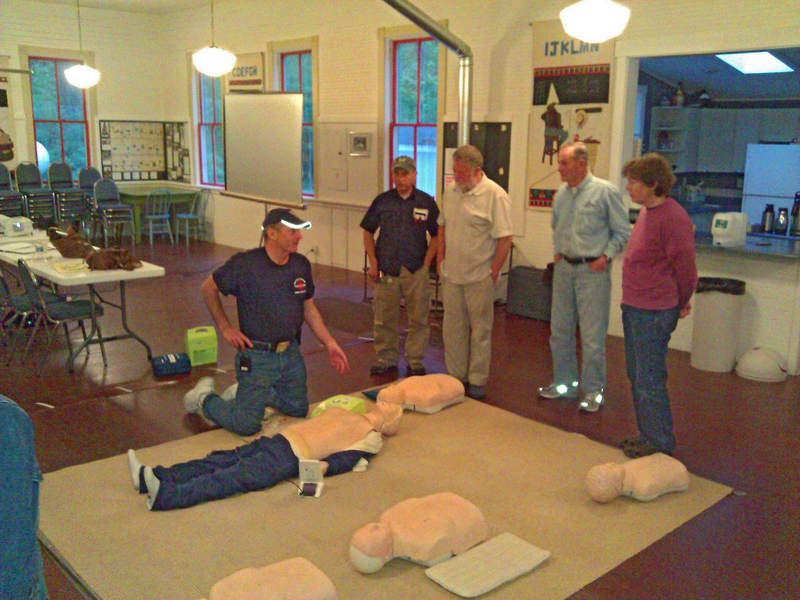 Recently I took a community CPR Class offered by Orcas Fire and Rescue. It wasn’t at all what I expected – there was no mouth-to-mouth! We were taught the new hands-only technique of chest compressions to the tune of the Bee Gees “Stayin’ Alive.” Apparently not only the theme of the song is appropriate, but the beat is just the right speed for compressions and easy to conjure up in the throes of an emergency. Free CPR class held recently at the Deer Harbor Community Club. The presentation revealed that cardiac arrest is most likely to happen at home and the first moments of response are critical. Chances of survival decrease 5 -10 percent every minute without CPR. Ideally CPR should be administered within 4 minutes. 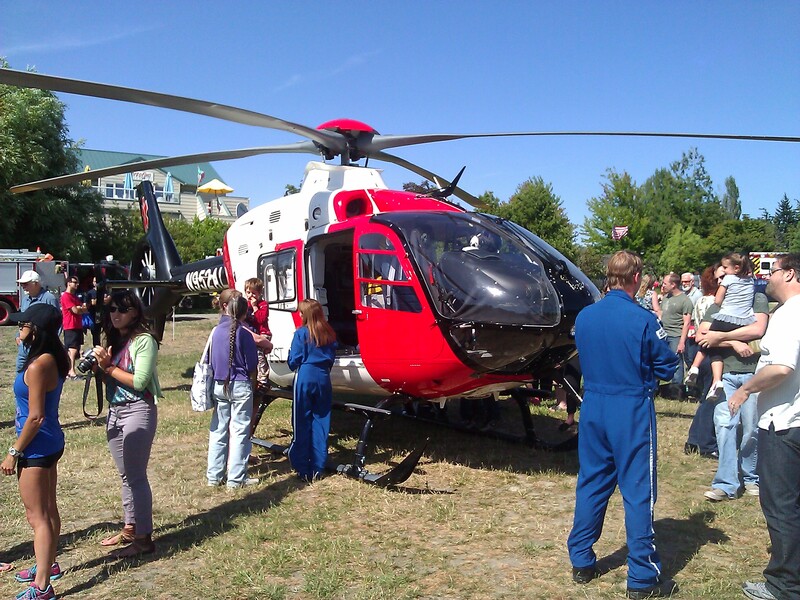 Airlift Northwest, a cost effective provider of medical airlift service, visits a recent Saturday Farmers Market on Orcas. What really got my attention is how our area ranks in emergency medical care. I was pleasantly surprised to learn San Juan County is one of the highest ranking rural counties for out-of-hospital cardiac survivability, i.e. able to leave the hospital with normal function. According to the CDC, nationally only seven percent of people who experience out-of-hospital cardiac arrests (OHCA) survive. But in San Juan County, the survival rate is closer to 50%. And in 2012, 80% of patients with OHCA were stabilized and delivered to the hospital with their hearts pumping on their own. This is impressive, especially considering we’re an isolated island community. So how do we do it? I spoke with OIFR Assistant Chief Mik Preysz, and he gives much of the credit to San Juan County Medical Program Director Dr. Michael Sullivan for keeping our first responders equipped with cutting edge equipment, extensive training and community outreach programs, such as CPR classes. Dr. Sullivan’s resume is a dream sheet of emergency medicine experience; we are lucky to have him in our community heading our medical program. Another positive statistic is emergency response times. 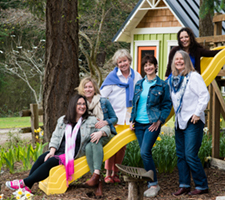 In 2012 there were 783 alarm calls on Orcas Island with an overall average response time of 8 minutes, 17 seconds. The average response time for Eastsound Station 21 was 6 minutes, 14 seconds. This compares favorably to Seattle, with a model EMS response time of 8 minutes or less for 90% of calls. Seattle is tops among cities worldwide for response times and emergency medical care, and Orcas and San Juan County are working to deliver a similar standard of care for our island residents. With budget constraints and a paid OIFR staff of twelve (including eight emergency responders), this level of care in our rural environment is only possible through an amazing network of 85 volunteers (including 62 first responders). Still, we should all do our part and learn CPR. Let’s keep Orcas Stayin’ Alive!